Enjoy 7 nights to de-stress as you are gently guided through the ancient healing techniques of Ayurveda and Yoga- cleansing and renewing on every level. Nourish your body with a healthy cleanse, organic foods designed to rejuvenate digestion and rekindle your health. Drift into deeper consciousness with daily meditation and yoga nidra. Discover the power of pausing, releasing and unveiling your essence, your true nature. This year we will be focusing on opportunities to uncover and recover our awareness of our unique wisdom and talents. Refocus on all that you are and uncover the beauty of spirit that lives in each of us. Picture yourself surrounded by the colors, warmth and beauty of lush Costa Rica. Start your morning with a pranayama (breathing) and meditation class. 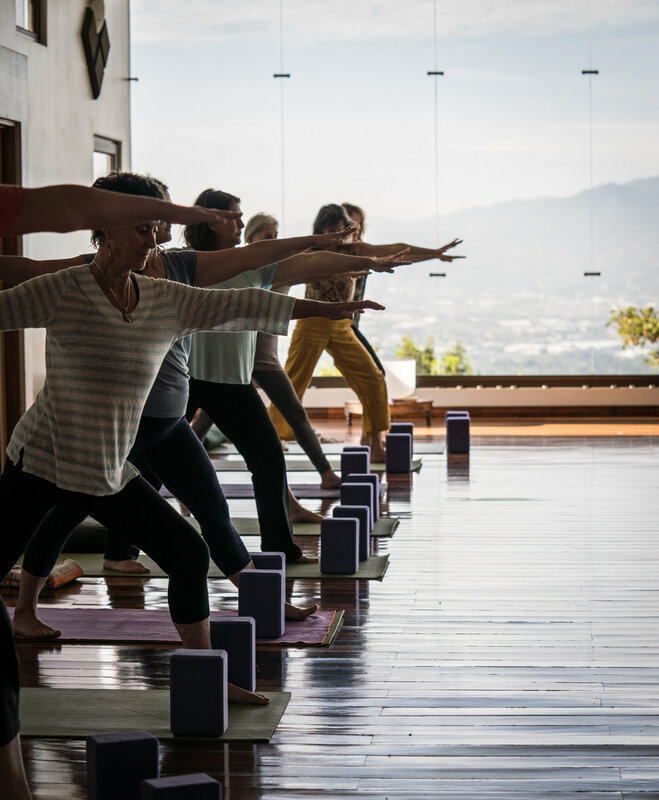 The first yoga class of the day will take you on a journey of movement that is both therapeutic and refreshing. Enjoy a leisurely breakfast with fresh, organic foods. After breakfast, the choice of how you spend the day is completely up to you! You might decide to stroll through the adjacent coffee plantation, read a book or take time to journal. Perhaps a day excursion to zip-line through the jungle, explore hanging bridges or white water rafting will fulfill your desires. It’s all about you! Lunch brings more tasty options for healthy eating. After lunch, find a hammock or recline by the pool, indulge in a spa or Ayurvedic body treatment. Afternoons bring choices of workshops and wonderful yoga Nidra/restorative yoga. Additionally, you’ll receive a cleanse booklet which outlines all of the daily self-care practices (dinacharya) that will support your body in a springtime cleanse. 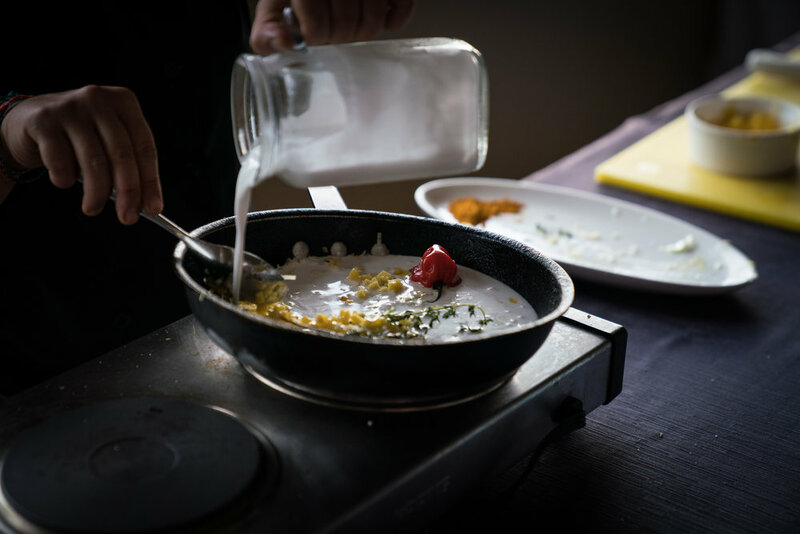 Prior to the retreat, you’ll receive a list of Ayurvedic herbs and oils that you can bring with you to assist cleansing at all levels of your being. Karen Quinn will be available to answer questions prior to the retreat about your personal dosha (constitution) and what will give you the most support on this cleansing journey. Our Ayurvedic cleansing retreat offers a delicious way to cleanse, heal and balance. All meals are created with fresh organic ingredients and are free of gluten, dairy, meats, and added sugar. You will be nourished and your cravings satisfied. Freshly made juices, wheatgrass shots, coconuts, turmeric tonics, grains and a variety of freshly picked, local tropical fruits are breakfast offerings. Lunch and dinner provide a banquet of healthy choices to reset your body’s natural ability to balance weight and energy. On a mountainside overlooking Costa Rica’s tropical and lush central valley, surrounded by song birds, blooming flowers and relaxing rain showers, the Pura Vida Resort offers world class accommodations with private open air rooms and incredible scenery. Please note: The links to PUra Vida reservations are not available to sign up for this retreat. 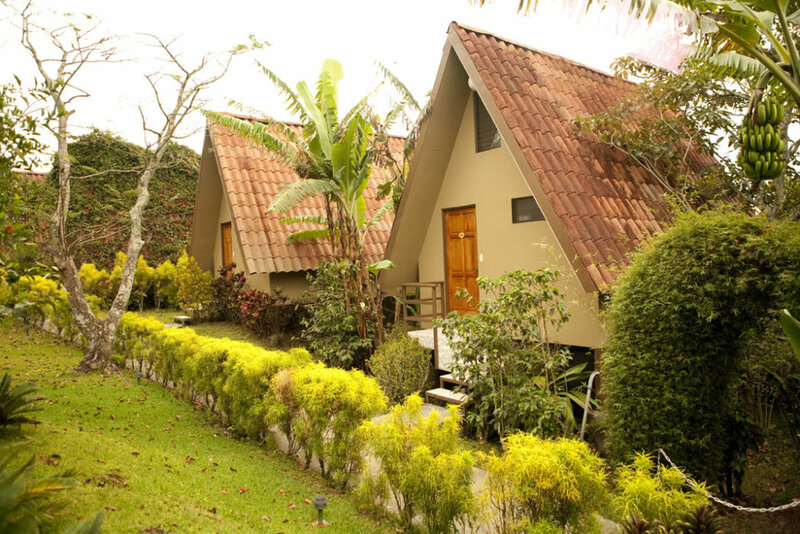 We have rooMs reserved for our guests which will not appear on the Pura Vida site. You can view the room types and then call Pura Vida to make your reservations. Be sure to tell them you’re Coming to Feel Better yoga Ayurveda retreat! Sign up by February 28, 2019 for $100 off!